Applications for Our SUMMER jobs are open now! 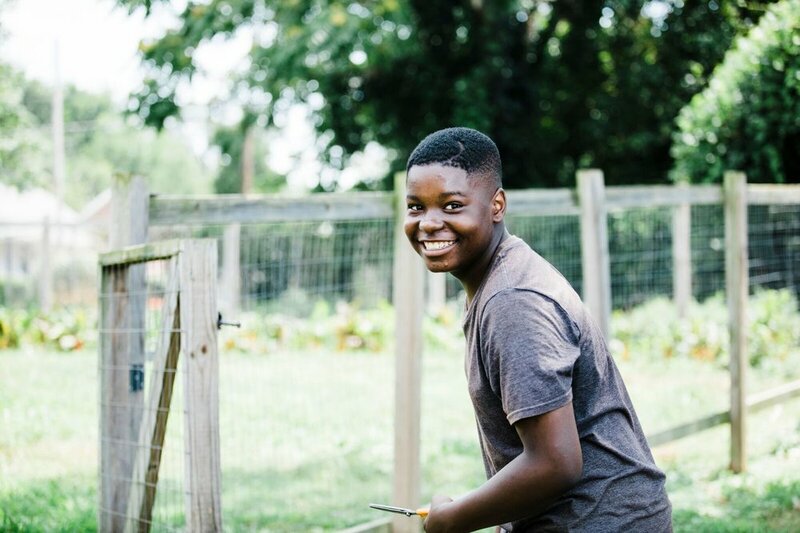 Youth Crew Members (ages 14-18) at Mill Village Farms join an engaging and energetic team growing farm fresh foods. Youth also learn leadership, teamwork, and basic job skills. Youth Crew Members help with our day-to-day operations and distribute food to the community through our FoodShare program and our new Veggie Cart located in Downtown Greenville. In conjunction, youth crew members participate in a weekly workforce development class. Youth crew members serve as advocates in the community and are held to high standards of performance and behavior while also earning a stipend. Provide your own transportation to Sullivan St Farm (on campus of Long Branch Baptist Church) at beginning and end of every workday.